Lebanese director Nadine Labaki’s debut Caramel was an excellent slice-of-life comedy that offered a human and humorous perspective on contemporary life in Beirut. For her second film she takes ambitious leaps on all fronts, mixing intense drama, broad comedy and even musical sequences to tell a story about the uneasy peace between Christians and Muslims in a Lebanese village. In doing so she further establishes herself as not only a great storyteller, but a director of significant vision, with a powerful command of cinematic style. 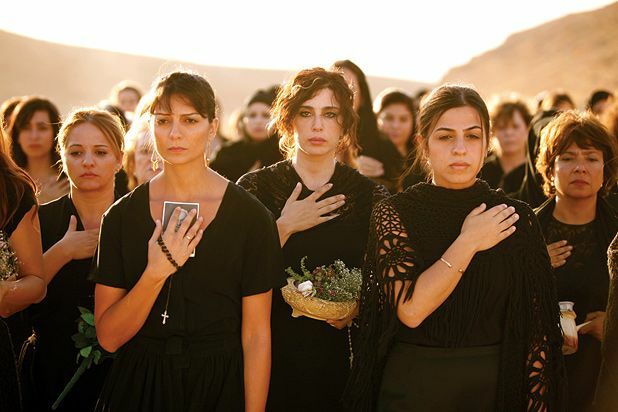 Labaki employs shifting tones from the outset, as a mournful scene of women visiting the graves of their husbands and sons gives way to a comical sequence involving men attempting to find a TV signal up a nearby hill. Using the womens’ various attempts to distract their menfolk from potential religious conflict as a focus, Labaki (who produces, directs, writes and stars) sustains this balance of tone with a lightness of touch that recalls classic Hollywood, tackling serious drama head-on while never afraid to crack a joke. Selected release from Fri 22 Jun. A story about the women of a Lebanese village try to stop their men from breaking the peace between Christians and Muslims, told using intense drama, broad comedy and even musical sequences. Director/producer/writer/star Labaki sustains the tone with a lightness of touch worthy of classic Hollywood.